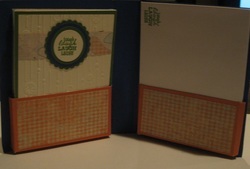 This card kit comes complete with all papers and instructions to make folder and 8 cards (2 each of 4 designs shown). Envelopes, stamped images, and punched die-cuts are included. Adhesive not included. 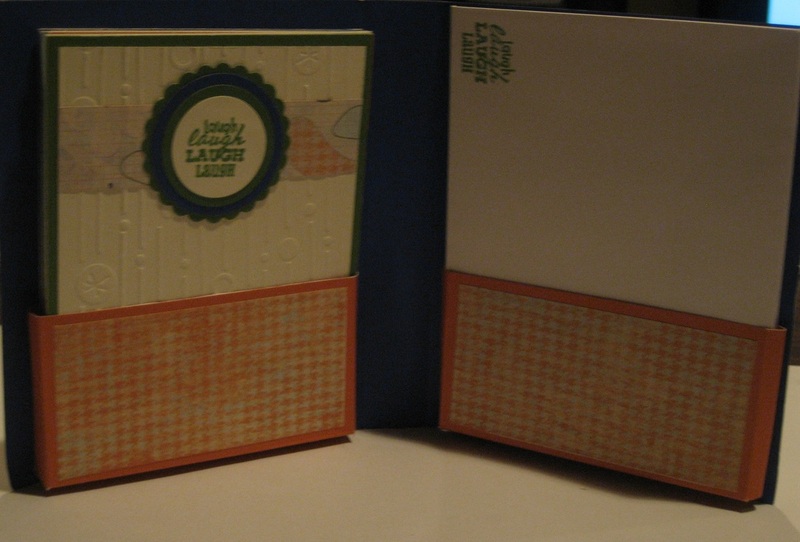 Completed card kit can also be purchased for $25.00 - great gift! 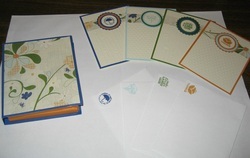 Card kit includes the following: 12 - 4 1/4" x 5 1/2" Preprinted Card Bases (3 each of 4 designs), 3 - 6" x 12" My Stickease Adhesive Sheets, 50 Adhesive Foam Squares, 12 Colonial White Envelopes. Colors: Bamboo, Brown Bag, Cocoa, Outdoor Denim. This is a retired CTMH product.